Pharmaceutical companies offer you a wide range of chemicals to treat your insomnia. We like to offer the all-natural alternative: Our indica-dominant cannabis strains. Treating insomnia with indica-dominant cannabis is highly effective. Many cannabis users tend to smoke before going to bed and have good reasons to do so. Research suggests that cannabis helps insomniacs and people with minor sleeping issues to fall asleep faster. Most cannabis users will also state to sleep longer, and more deeply. The sleep promoting effects of cannabis are suspected to mainly come from the cannabinoid CBN. High performance liquid chromatography (HPLC) tells us that our indica-dominant cannabis strains show larger percentages of CBN or cannabinol, making them an all-natural, non-synthesized sleeping remedy, and a good alternative to sleeping pills. An estimated 30-50% of the world population has some degree of insomnia, and it makes sense to differentiate between two basic types, primary and secondary Insomnia. Primary or short-term Insomnia is often the direct cause of stress. Secondary or chronic insomnia is worse, and usually a symptom of an underlying medical condition causing it. These medical conditions can include all kinds of chronic pain, but also psychological problems like anxiety, post traumatic stress syndrome or depression. Cannabis can help to treat both kinds of insomnia, but people affected by chronic insomnia are advised to closely monitor themselves, and stop using cannabis as medication when the underlying problems get worse. Enough theory - let’s get back to practice. Here are Royal Queen Seeds Top 5 cannabis strains for insomnia. This crossing of Blueberry and original U.K. Cheese is internationally recognized for its heavy Indica effects. Your muscles will feel more relaxed after a long day, and your stress level gets reduced immediately. Blue Cheese can also be used to treat chronic pain, and works great as the last smoke before bedtime. The big plus of this strain is the unique and strong body stone coming from Cheese, not to mention the delicious blend of berry and cheese aromas. Growers of Blue Cheese will harvest after a flowering period of 60-65 days. 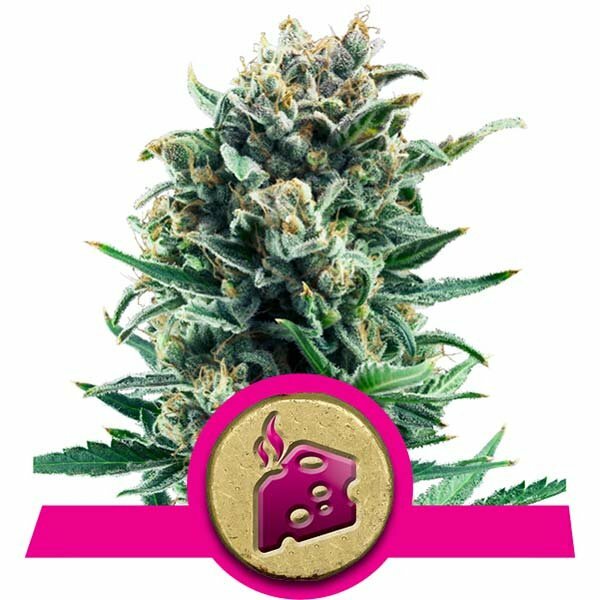 Northern Light is an absolute classic due to its Indica knock-out smoke, and known to be one of the first strains to reliably produce heavy yields. The Afghan heritage dominates this strain, and getting into the state of being “couch-locked” is almost guaranteed, especially when larger quantities are being consumed. Smoking this variety before going to bed is never a bad idea, and it will feel like being put to sleep by gravity. Northern Light has a flowering period of 7-8 weeks. Some people suspect Critical to be grown for commercial purposes due to the high efficiency of this strain. Royal Queen Seeds can neither deny nor confirm these rumors. It’s a fact that Critical is your best friend when you want to produce large amounts of sleeping remedies, in a very efficient way. Critical can easily yield up to 600g/m² in only 7 weeks of flowering. OG Kush gained so much popularity that we felt it was necessary to offer our customers the “OG Kush Fan Pack”, including an OG Kush T-Shirt, to help people show their affection for this strain. This variety originates from Northern California, and is highly suitable to treat insomnia, mainly due to the strong narcotic stone that can be felt after consumption. Relaxation can be expected physically, meaning a firm but comfortable body stone, but also mentally. OG Kush can be harvested after 8 weeks of flowering. If the desired effects couldn’t be reached by using all the other strains mentioned, then it’s about time to call Royal Domina. If she can’t put you to sleep, cannabis in general won’t do it for you. 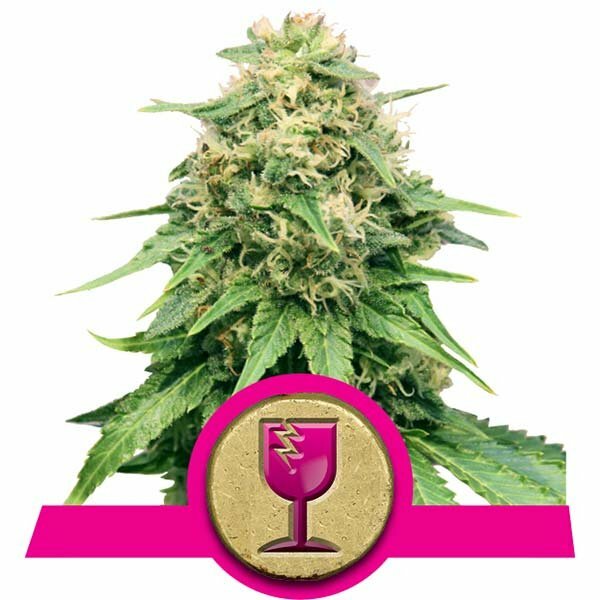 This variety combines the classic Spanish strain Black Domina with exotic Kalijah. You want to put your mind and body into the deepest state of relaxation it has ever been to? Here you go. Insomnia is something Royal Domina gets under control by just a few hits. Full maturity can be expected after a flowering time of 7-8 weeks.